Most gamers have already finished the single player campaign of the latest installment in Call of Duty franchise (never mind, most gamers do not care about single player campaign). So now Just like Battlefield 4, Call of Duty: Ghosts is also being widely played in the multiplayer mode. To reduce the in-game multiplayer glitches and hacks, Infinity Ward has banned all third-party software for PC version of the game. Console gamers are apparently playing Call of Duty: Ghosts multiplayer without any mods or third-party software (keep hackers aside), however, for advancements and better gameplay, PC gamers are using few third-party software but it seems like now they will not be able or allowed to play the game in multiplayer mode with third-party software or mods. To organize the growing multiplayer traffic in Call of Duty: Ghosts, Infinity Ward made a Code of Conduct that should be followed by every multiplayer gamer, new rules and changes are added to the Code of Conduct with time to control violations. Recently, Infinity Ward has added a new rule for the Call of Duty: Ghosts multiplayer gamers. The developer announced via Twitter that from now onwards, any PC gamer found using third-party software in multiplayer mode of the game will be banned “permanently”. This rule is specifically for PC gamers and console gamers are not counted in this. “Update re: PC bans – Any players found using 3rd party software will be permanently banned in #CODGhosts,” the developer stated on Twitter linking the official Code of Conduct post with the tweet. The most concerning part is that majority of Call of Duty: Ghosts multiplayer gamers have been using third-party software with the game. Known as FOV Changer, this third-party software allows the gamers to improve the in-game field of view (FOV). So taking the new rule into account, PC gamers are no longer allowed to use the FOV Changer. However, the banishment of FOV Changers is not clearly stated in the Code of Conduct. Until now, No one has reported a permanent Call Of Duty: Ghosts multiplayer ban for using FOV Changer, so we cannot confirm if the FOV Changer is also included in Infinity Ward’s list of third-party software, although it is an unofficial third-party software. 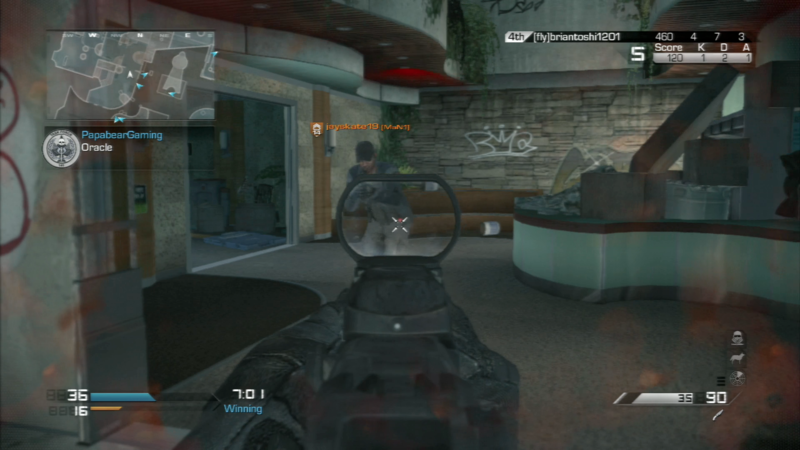 We will update the post if reports come in regarding the Call of Duty: Ghosts multiplayer ban for using FOV Changer.